I was very touched that you wrote back to me and also published my email on your blog. I've also really enjoyed your analysis of the survival situation in Ukraine, especially breaking apart the finer points and details about how even wearing the wrong color jacket or shoes can signal a person out for interrogation and possibly death and how to manage the cell phone situation. I have a question for you; there is a wide scale military "drill" thats been making news here in the US called Jade Helm 15. I wonder if you would be willing to give us some of your thoughts on this, and/or realistic "preps" for the various scenarios people think might happen? Some people are extremely concerned that its not a drill, and will be an integration of widespread martial law, possibly coinciding with a financial crisis. Other people think its a drill that is meant to habituate the US population to martial law, and others think its exactly what the official statement says it is; a training exercise to help our forces prepare for on-the-ground situations in foreign nations. At the most minimum level, what concerns me the is that the United States has both laws and traditions where utilizing civilian areas for drills and training exercises isn't really cool. In the U.S we have, or used to have, a very clear distinction between military and civilian law enforcement, and we even have a separate thing called the National Guard so that when something happens that is too big for local law enforcement or disaster services to handle (like riots, or a big tornado), we have the necessary support and specialized equipment to deal with those situations without utilizing the military. The guys who set up this country initially were pretty darn smart and wanted to do everything possible to ensure that our military was never used on our against our own citizens or on our land, as they knew how easily that turns into a coup. Here are a few different links in case you have not yet heard of it. You address several interesting topics. About police militarization, I do believe it has been going on for far too long and in the last decade or so (more like last two decades) it has gotten a lot worse. 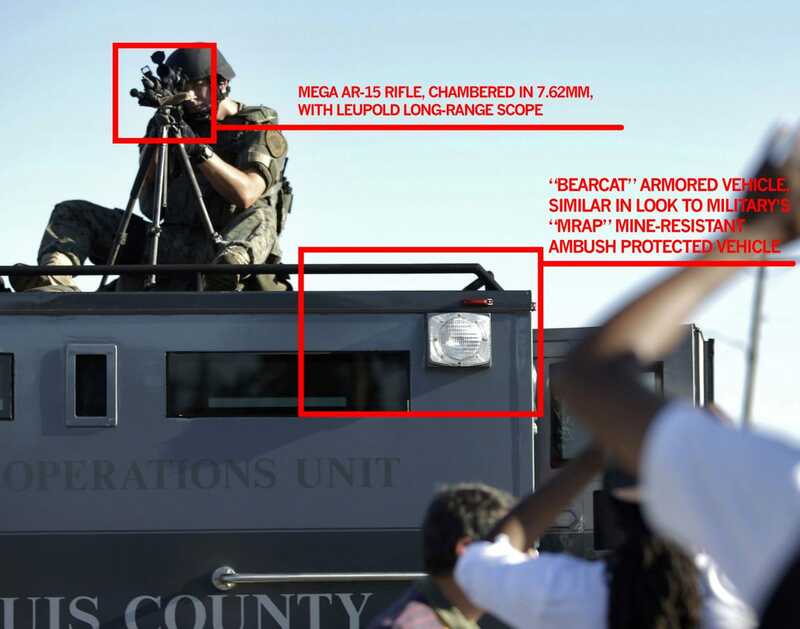 It’s not just police using military clothing, but also military weapons and military tactics. It was disgraceful to see military-grade snipers sitting on top of armored vehicles taking aim at the (peaceful) protesters through their rifle’s scope. Exactly what were they supposed to do now? Attack the population with “sniper” fire? Many current officers have served in the military, the distinction between military and civilian is already complicated enough. When you have guys that are already more soldier than cops, you dress them up as soldiers, give them soldier weapons and talk to them like soldiers, organize them like soldiers, and even put them inside armored vehicles, it’s not hard to see how they will act. Now, some people may think this is good, that more “firepower” stops crime better and keeps streets safer. No, it does not. The role of a police officer is completely different from the one of a soldier. If you end up with “peace officers” that for all practical purposes are soldiers rather than cops, then you no longer have a democracy. We need to go back to having police, not troops with a “police” Velcro stuck on their body armor. Regarding Jade Helm 15, I think there’s a bit of conspiracy theory going on but there’s some truth to some of the claims as well. It is true that people do get used to it if they see troops on the street on regular basis, which is something the military is interested in because it will reduce the friction with civilian society when deployed on domestic ground. It is also true that drills are intended as practice, and if they are practicing locally it would help if troops need to be deployed on US soil. Is it all precisely in preparation of riots after a potential economic collapse? Maybe, but then again, it is also valid in case of deployment due to a number of other potential reasons. As of right now, I think its important to a)Keep law enforcement within its role, don’t’ allow its militarization under any excuse, don’t let cops turn into soldiers 2) Not allow the same the other way around, don’t let troops patrol, secure the streets, and basically do the job intended for police officers. Floods keep causing widespread destruction in Texas. Hundreds of homes have been washed away in Texas and Oklahoma by the record-breaking rains. *If the stream or river turns brown or is showing signs of broken vegetation or other debris, move away as quickly as possible. *Current can be deceivingly strong. Don’t risk it. Most people that drown during floods, at some point underestimated the strength and danger of the current. Just six inches can knock you over and drag you into deeper, faster moving waters. *Just two feet of fast moving water is enough to move and carry away a vehicle, including SUVs and pickups. It’s one thing to ford a river, it’s another to risk getting caught by a flash flood. Turn around, don’t drown! 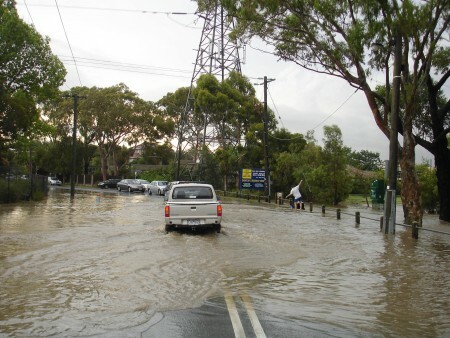 *About half of flash flood fatalities are vehicle-related. Don’t park your vehicle close to rivers or large bodies of water and don’t try to cross flooded roads. If your vehicle stalls, get out and get to high ground immediately. Don’t wait until the car is dragged away. *Get yourself a NOAA Weather Radio and listen to the weather updates. Stay home and just don’t risk it. Its not just floods, but also large hail and tornados that can be extremely dangerous. *Put together your survival kit, which should include LED flashlights and lanterns, batteries, radio, food ready to eat or easy to cook, a camping stove, disposable plates, cups and cutlery, blankets, bottled water, medicines and first aid kit. *Have a Bug Out Plan laid out. In this case, it should include a route along high ground and away from flood hazard areas. If you need to evacuate, do so before it’s too late. If you are reading this then you probably have been following my blog for some time. If you have been doing so you know me and where I stand regarding survival and preparedness. I really don’t care about doomsday prepper delusions. I love a good book or post apocalyptic movie as much as the next guy, but for me survival is a very serious, very REAL business. Reality always trumps suppositions, let alone silly childish fantasies. This is why the videos below are so important. They just destroy so much of the nonsense floating around the “prepper” community therefore I encourage you to watch the two videos and learn. These are farmers. Real, tough, well armed resilient people, dealing with the harsh reality of a level of crime and violence surrounding them that you simply cannot understand. Try not to think “oh, but not here, not me!”. This is exactly how America would be like if the government either looses control of the country or it simply allow it to become a land without law. The famous WROL (without rule of law). This is what WROL looks like, or even worse yet WFROL. Without FAIR rules of law, because that’s what these poor people have to deal with. The laws do exist, but they are there to destroy them, to scare them out of their own land. Watch and learn. Watch, and understand how 99% of the childish WROL planning we see floating around being promoted by “experts” that never picked up a book or even bothered watching a documentary in their life would fail miserably in a matter of weeks. spray that cold steel makes, called inferno? 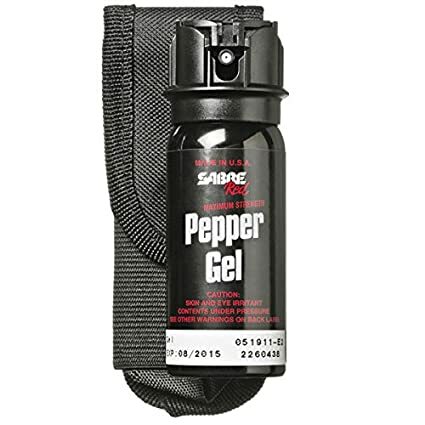 Sabre Red, Cold Steel's Inferno and Fox Labs are the top three pepper spray manufacturers. Sabre Red is the better known brand. It has been around for many years and it is trusted by many law enforcement agencies. It is effective at neutralizing an opponent. Like any other OC spray, it may not work against people under the influence of drugs. The Gel configuration makes it less likely to be blown back towards the user and it sticks more to the attacker than liquid spray. 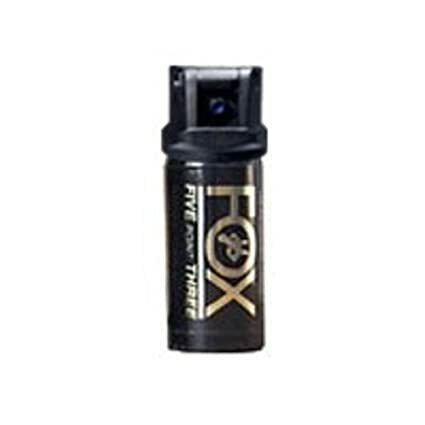 Fox Labs is another well known pepper spray brand. According to people that have been sprayed with both Fox Labs and Sabre Red, Fox Labs burns the skin more, but that doesn’t mean it incapacitates more as both have similar blinding effects on attackers. The stream format has good reach but there’s a chance of wind blowing it back at you. Cold Steel’s Inferno has a good reputation as well. It also contains black pepper, which causes a sneezing reaction, forcing more of the product into the airways. This is particularly nasty and Inferno is indeed pretty strong. The foam configuration can be particularly sensible to wind, although the jet is pretty strong and the product sticks well to the attacker. Basically, its about what you like best. Sabre Red has a great reputation and I feel their standards are very high but any of the three brands is likely to be equally effective against an attacker. It seems that not many people ask why and just accept this as an unquestionable fact, but those that do usually get a reply about cities being where most people are and therefore where problems will be worse. The logic here would be that more people=more problems. While this may be the case in some specific scenarios, those of us that have dedicated years of our lives to seriously study real disasters tend to have a different opinion, and the answer is: Its not that simple. 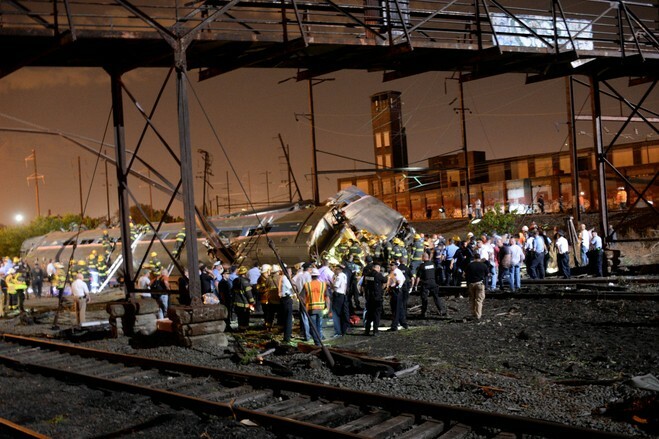 The best location to ride out a disaster, large or small, is directly linked to the type of disaster you are facing. In the case of war, widespread terrorism or uprisings, running to the countryside is probably the last thing you want to do. In the case of an invading force moving across a country, both cities and more rural areas would be equally at risk. Ground troops moving forward will go through all buildings looking for enemies, scouts and spies and no survival retreat with armed occupants will present much of problem to anyone with mortar fire at their disposal. Anything that falls within the enemy occupation territory is at risk. Different historic incidents such as the Bosnian war, involving an invading, foreign force, or the violence in South Africa, in this case a local threat, targeting farmers after the African National Congress rose to power, have shown us that the countryside isn’t always an idyllic safe place to be in when everything goes to hell. DALORI, Nigeria — Hundreds of women and girls captured by Boko Haram have been raped, many repeatedly, in what officials and relief workers describe as a deliberate strategy to dominate rural residents and possibly even create a generation of Islamist militants in Nigeria. Despite this relative calm in urban areas, Boko Haram killings and kidnappings have not diminished. Recent analysis of the Council on Foreign Relations’ Nigeria Security Tracker indicates that they have in fact increased. Fighting has instead shifted to rural areas. Boko Haram militants killed dozens of traders at a village market in northeastern Nigeria's Borno state, security sources said. 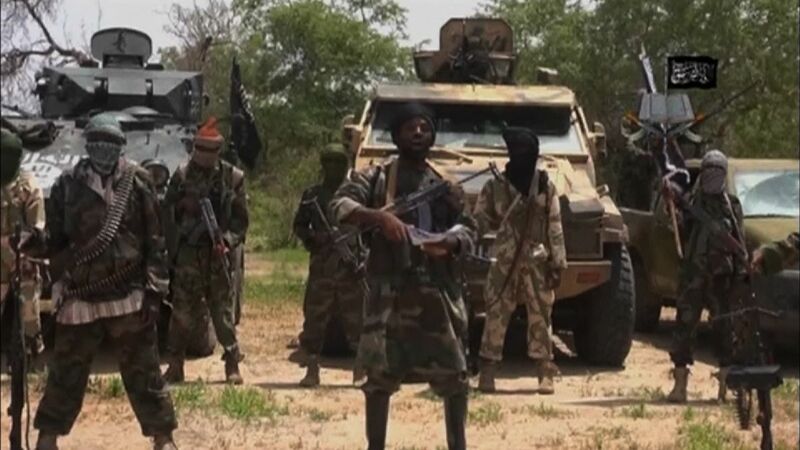 The attack Friday was the second major assault on the market in Mainok, 65 kilometers west of Maiduguri, the Borno state capital, within five months. The weekly rural market draws hundreds of people from remote and surrounding communities who come to trade their farm produce and animals. In this case, we see how when terrorist organizations aren’t strong enough or big enough, they will fight more of a guerrilla warfare, hiding in the countryside, taking over smaller towns and villages, and only going after bigger cities when they have enough power to defeat the forces located there. If we think of a post SHTF world in USA where for whatever reason most of the country has collapsed, it is easy to see how most of the security and rebuilding efforts will be focused on the larger cities with the most people while smaller communities and the least populated areas will be left to fend for themselves. Warning: Laws vary from Country to Country, even from State to State. Know and abide by your local laws before making any kind of home-made pepper spray. In one of the most embarrassing incidents in Argentina’s football history, fans of Boca Juniors Club attacked rival players of River Plate Club as they went into the pitch after half time. They used a home-made type of pepper spray known as “mostacero”, which is typically made by inmates in prisons. This liquid was made using cayenne pepper and acid. While cayenne pepper isn’t among the hottest peppers, the acid in the mix is a particularly evil addition which can cause permanent injury or death. Before you get any ideas, remember that liquids and gases for self-defense that cause permanent injury or death are banned in most countries. Commercial OC spray is still the best non-lethal defensive tool at hand. Its cheap, you can have it delivered to your door and it works very well within its intended purpose of use. I recommend SABRE RED, as this is the one most often used in Argentina with good results. The active ingredient in pepper spray, capsicum, is actually the same component found in most hot peppers, so while not as practical as commercial OC spray, a home-made version can be effective as well. 1)The first thing you need to do is to get yourself some peppers, the hotter they are the better. The hotness of the pepper is rated in Scoville Heat Unit. Commercial Capsaicin pepper spray has around 2.000.000 SHU. Ghost Chile Pepper is considered one of the hottest peppers in the world. Usually exceeding one million SHU, its about 400 times hotter than Tabasco Sauce. At the moment the Carolina Reaper Peppers are officially considered to be the hottest in the world. The practical difference in SHU may be marginal so I would suggest going for the one you have available in powder form. You can use dry peppers but this will require processing it into powder. You will also need alcohol, mineral oil, an empty plastic bottle (small, half liter soda bottle will do) to mix the ingredients and a container to use the pepper solution. 2)Pour the ingredients into the plastic bottle. Use latex gloves, a face mask and if possible do this outdoors or at least in a well-ventilated area. The mix will stain clothes pretty bad as well. Mix 2 tablespoons of Ghost Pepper powder. 1 tablespoon of mineral oil and 7 ounces of rubbing alcohol. Close the bottle with its cap, shake it well and let it rest in a cool dark place for 24 hours. 3)Using a cloth or rag to filter the solid particles, pour it into another container. Make sure you use gloves, mask and eye protection here as well. Once you have the filtered solution look for a spray bottle to keep it handy. Water guns have been recommended at times, but most of these tend to leak very bad so check before using. Small spray bottles work nicely. Lens cleaner bottles are small and throw a jet when pressed hard. Try getting one that throws a jet of liquid rather than a cloud of particles so as to have better range. That’s it folks. Not as handy a commercial OC spray, but better than nothing. Just a reminder that here in the US the Red Cross offers a combined CPR/AED course which is well worth the time. The instructional video with the HeartStart is good but the course gives some hands on use of the AED. It would also be good for one to have CPR training if one owns an AED. Don't be fooled by this call for infrastructure spending, the guy you quoted is a notorious big spending politician. Obama and his buddies supposedly spent $1T on infrastructure which actually went mostly to support their union friends, i.e. teachers unions, bailing out UAW union, and public employees unions among others. Obama has increased our national debt by over $8T since he has been in office so I'm skeptical that he can spend more money wisely. Hi Keith, thanks for the reminded. Indeed, everyone should check http://www.redcross.org/ for nearby first aid traning. The AED (Automated External Defibrillator) is simple enough to use but you should still get at least a basic CPR class. I dont actually have a problem with spending as long as its done right and to benefit people, rather than doing it do benefit personal friends or themselves directly. Unfortunately, that happens a lot all over the world. "Will shock with an AED significantly improve the survival chances of a heart attack victim if hospital care is not immediately available? And how immediate is immediate? 15 minutes, 2 hours, 24 hours?" AED stands for automated external defibrillator and yes, yes it would. According to the American Red Cross, “Sudden cardiac arrest is one of the leading causes of death in the U.S. Over 350,000 people will suffer from sudden cardiac arrest this year .” Keep in mind that the average 911 response time is 8 to 12 minutes and during sudden cardiac arrest, for each minute defibrillation is delayed, the chance of survival is reduced approximately 10%. Given that cardiac arrest is the leading cause of death in America, an AED is more likely to save you than a gun and pretty much most other gear you have. Having said all this, common sense still applies. If you’re in your 20s or early 30s and in good health you probably have better things to spend your money on than dropping a grand on an AED. If you’re in your 50 and live in an area where response time isn’t as good as it could be, then you might want to give it some though. If you’re in your +50, have a history of cardiac problems and have little chance of getting first responders to help you in time, then you might want to give it some further thought. At the end of the day, is an AED worth it? That’s up to you to decide. 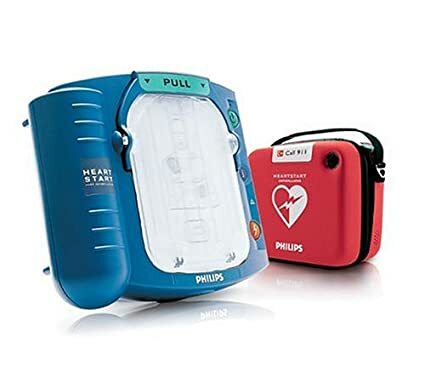 AED are not as expensive as they used to be but we’re still talking some serious money, the one shown above, Philips HeartStart Home Defibrillator is available in Amazon goes for 1.200 usd. On the bright side performance has improved considerably in the last few years and they are very easy to use even by the layperson. The AED works automatically, only shocking when necessary after reading the patients heartbeat. Experts at Johns Hopkins claim that “use of the laptop-size devices (AED)by random bystanders more than doubled survival rates among victims felled by a sudden heart stoppage due to a heart attack or errant heart rhythm.” This was back in 2007, with more rudimentary AED technology compared to the one available today. don't give financial advice but your input would be appreciated. Indeed, the global elite is working hard to get people used to the idea. Denmark is moving closer to a cashless society. The Danish government has proposed that retailers should no longer be obligated to accept cash payments as of next year. Greece prime minister Alexis Tsipras suggested credit card use being made mandatory for transactions of more than €70, a measure which the bankers he supposedly hates would greatly benefit from. Our society is already enslaved enough as it is by the fiat economy system which steals our labor as we are forced to use currencies that are beyond our control and can be created at will by the ruling elite. A cashless society would be the pinnacle of this dystopian hell. No matter how much you work, the fruit of your labor would now be directly owned by the bank. You see, the minute you deposit money in a bank, you no longer own that money anymore. It now belongs to the bank and they can do with it whatever they desire, they simply assume a lax compromise of returning that money to you at their convenience. In a cashless society you wouldn’t even have that choice, the bank would own your wealth by de facto. There would be no obligation to hold, handle and return actual cash to clients. There wouldn’t be a risk of a bank run any more, nor would you have a choice of simply abandoning the banking system and sticking to cash. A cashless society forces every single person to use the bank for 100% of their transactions. All this means trillions of USd worth of profit for the banks and credit card companies. It also means you literally become a slave to these institutions. What’s the solution then? Go for precious metals. Forget about the market price, just buy some. In my book “The Modern Survival Manual: Surviving the Economic Collapse”, I explain why gold is important during an economic collapse and recommended to have 20% of your savings in precious metals. If governments keep pushing for a cashless society, make that 30%. It’s the only way in which you’ll have any real money any more once cash is downright banned. Yes! There’s an FM radio in your phone… but they don’t let you use it. In my resent blog entry, “The Top 10 Things you need during a Disaster”, I explained how important it was to have a cellphone. Of course simply being able to call for help if needed and contacting people is a huge asset on its own but then you have a ton of other features, either included on the phone itself or through apps. Smartphones are amazing pieces of technology which allow you go online, access maps, use built in GPS navigation and even LED flashlights, just to mention a few. People quickly pointed out that during disasters such as the Boston Bombing, Katrina and Sandy, networks are overloaded and phones don’t work. This is true given the bandwidth overload when everyone tries to call at the same time. It is also true that many times although voice calls cant go through, text messages do, and service providers recommend people to use these instead during disasters. Having a smartphone also means you may take advantage of wifi hotspots which are often set up after disasters to help during the rescue operations. Most smartphones in the market today, Iphone, Samsungs and such, they DO have FM receivers. The problem is that these are blocked for most phones intended for the American market. In the rest of the world, this function is not blocked, therefore an “American” Samsung Note will not have a working FM receiver while an “International” model will. Why would anyone do such a thing, you may ask? Well, as always follow the money. Service providers don’t want you using a radio when they can force you to stream radio through the internet using their data services. Also, Apple profits greatly from selling music in itunes. They would lose millions if people decided to listen to radio a bit more for free rather than paying for each song they listen. Also, there’s more good news: Not all smartphones in America have the FM receiver blocked. HTC and Motorola are among such companies. If you’re in the market for a new phone, Motorola has the very affordable yet outstanding Moto G, which I highly recommend. This is the phone my son uses and it has a lot going for it. The Moto G is very cheap, uses the latest Android OS, it has 4G LTE, has a pretty good screen and processor and expandable micro SD memory. From a survival perspective, its waterproof, very robust, has an LED light and an unblocked FM radio. Just put a cheap rugged case on it and you’re good to go. Check my video review of the Moto G for a closer look.